Looking for somewhere to take the kids for a bite? Who’s going to give you a more honest, bite-sized review than an 12-year-old? 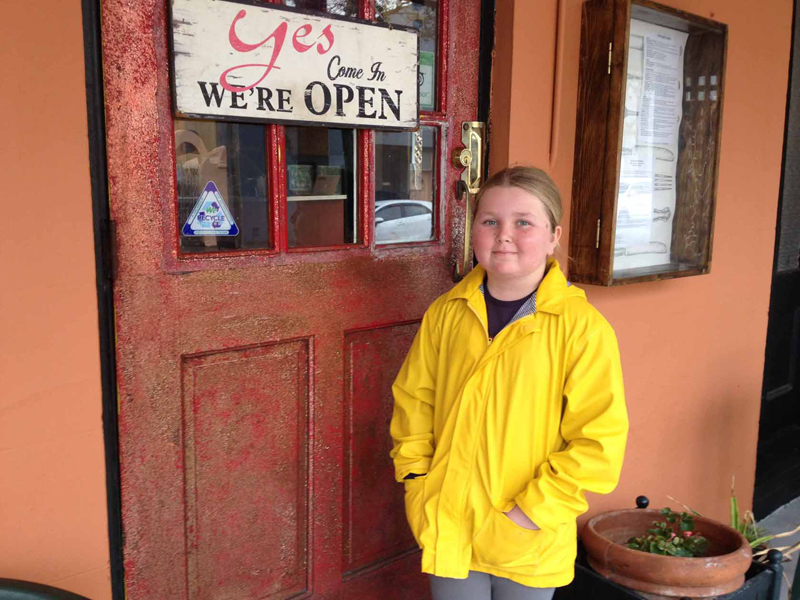 Eliza Olander, from St David’s, provides candid reviews of local establishments. First impressions: It’s always quite busy. I like all the mirrors and paintings. It’s rustic. And the menu is unique because there is something different every day. It’s like a coffee shop — and coffee shops just have a warm feeling to them. It’s not particular fancy but it is modern. And it’s a whole different atmosphere because it’s slightly out of town. Service: It was different because this is not the type of restaurant where someone comes and takes your order [orders are taken at the counter] but it was very nice. The fish does not taste like its fried — I bet it’s fresh. The coleslaw is nice and sweet and the great thing about the bread is that it the raisins go perfectly with the coleslaw. And I can tell the fries are definitely fresh, not frozen; you can still see some of the potato skin on the outside. They are very good. The sandwich is delicious. I was going to have the fried chicken because it’s amazing here but I chose the fish because I hadn’t had it before. I wish I had my iPad here so I could take a photograph of this sandwich — it’s beautiful. This bread is definitely fresh — the last time I came I asked and they told me they make it here. The only other time I have fries like these is when Mommy makes them; hers are a little chubbier. Portion size: The sandwich is huge so don’t expect to get a small portion at Tribe Road. Dessert: [Scone with white chocolate made with strawberries, $3.50]. It was very nice but needs a little tweak — maybe take it out of the oven a little earlier because it’s a little burnt on the sides. I like the strawberries in it, they’re delicious. Instead of white chocolate they should have used milk chocolate. And I wish it was a little fluffier. The crust is making the white chocolate stand out. I had heard something on TV that if your scones don’t come out perfect, put white chocolate on them. It doesn’t make them perfect but it’s an improvement. I saw that on Ramsey’s Kitchen Nightmares. Overall experience: The place is unique. The food is always great — I have been here several times. Definitely a good place to bring your children for lunch. I don’t want this to be an insult to parents who cook for their kids but if you want to try good quality food, this is the place. Good stuff. Hadn’t seen an Eliza food review in some time now. Uncle Tony needs to step it up here. Well written and thanks again Eliza. Good place to eat, just too expensive. I’ve heard this so many times from customers. People have to understand that EVERYTHING they use is fresh and also don’t forget the prices we have to pay in Bermuda to get the fresh produce. TRK are awesome with using fresh and also local produce. To bad everything is so bloody expensive on this island! Such a wonderful review from this young lady. Eliza is honest and refreshing. I can only imagine what she will be like when she grows up; she is amazing! Thank you Eliza for sharing your food adventures with us. Look forward to seeing more reviews in the future! Tribe Road Kitchen hands down has the best food I’ve EVER had on this island. I’m lost for words every time I put their food in my mouth. Thank you Tribe Road for making me realize how much I LOVE good REAL food. Never have I ever been dissatisfied with your awesome food. 10 thumbs up! Another great review Eliza! Keep it up..we love reading them. Aunt Judy’s son and daughter-in-law. I love TRK too Eliza. Your review is very fair. Well done and keep on learning about the world of food and telling us your thoughts. Consuming fresh, healthy foods and drinks is so important for our health now, and in the future. Avoiding processed foods is a must! I look forward to your next review! I love reading Eliza’s reviews. In fact, I look forward to reading them. 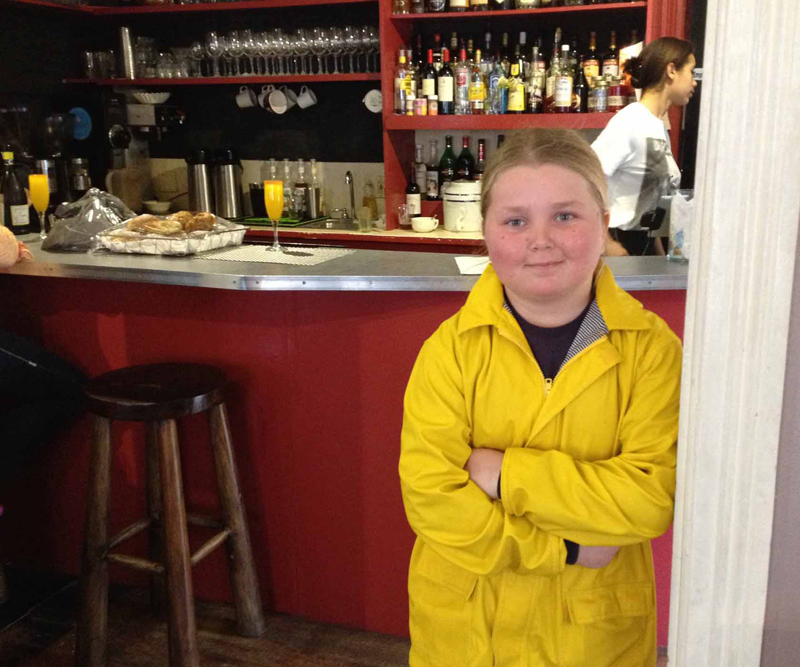 Eliza’s review of Tribe Road Kitchen was simply delightful. Keep them coming.